Its not a pretty sight. I removed the tail light panel and mounts since they were damaged. The rest of the work was already done by a previous owner. 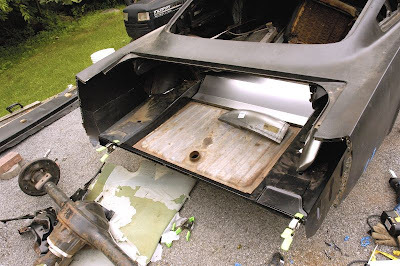 I installed the trunk floors, gas tank, and frame rail to check alignment. If at all possible, I would recommend having the leaf springs in place for welding since it will help with frame rail spacing and centering. To make sure the springs end up spaced right, you may want the rear end installed too. Its really important to dry fit everything before welding to make sure the new stuff is in the right place because it may not line up with the old parts. Some repro parts aren't perfect and will need tweaking. 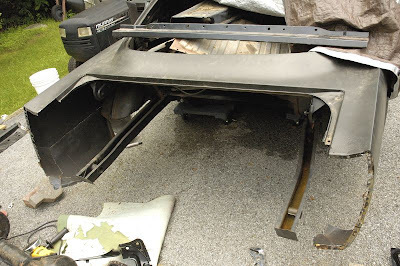 With these new parts in place, I welded the floor to the frame rails and the old floor. 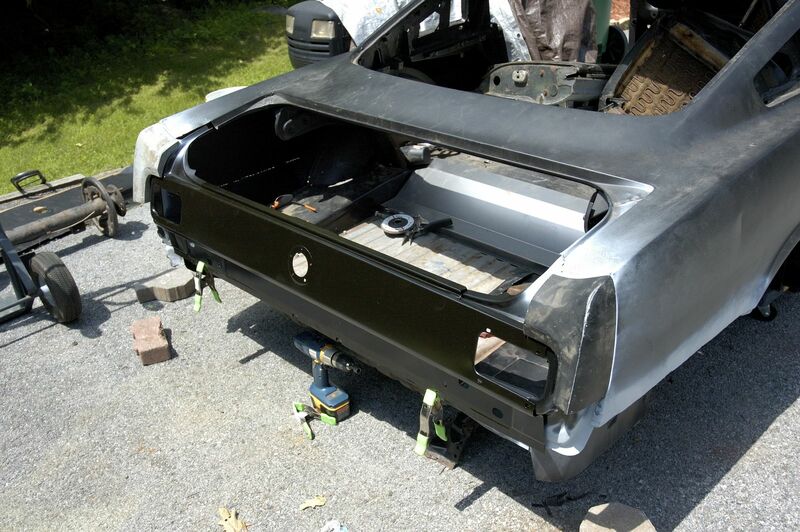 Its beginning to resemble a Mustang again. 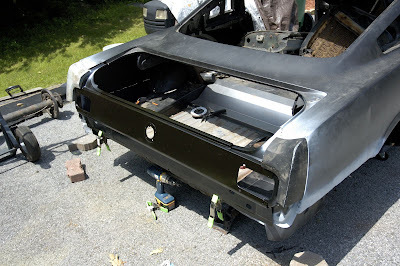 I drilled holes for plug welds to line up with the rear frame rails and welded away. 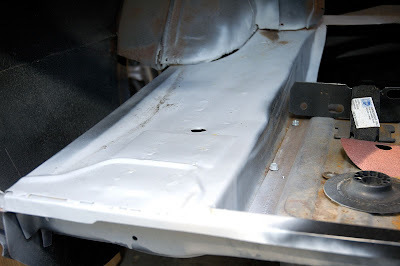 Later I primed the smoothed welds.